The next generation in video entertainment is here. VidLink is bringing a breakthrough technology platform to Dalton that lets you personalize, stream and replay your favorite content. It’s video for the way you want entertainment today! Say good-bye to those clunky set-top boxes and cords! With VidLink, all your viewing devices can now be accessed through one app. Say hello to streaming content when you want it, the way you want it - from your television, tablet or mobile device. 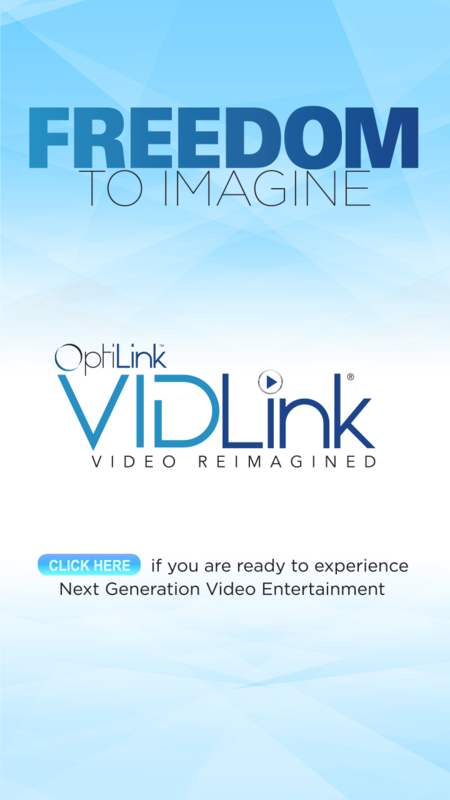 Enjoy next-generation viewing today, and find out for yourself how VidLink gives you freedom to imagine. Up to five members of your household can create a personalized profile. With VidLink, you can customize your viewing preferences with your name and own avatar! Do you love the beautiful crisp colors of high-def? With VidLink all channels are HD and that means your guide isn’t cluttered with multiple versions of the same channels. Use your device remote to access favorite channels, or use your smart phone as your remote by simply downloading an app on your smart phone. It’s easy and convenient. Waiting for the next season of your favorite show? Or have a certain genre or actor that you really like? VidLink is intuitive and tailors viewing recommendations just for you! Hate those seemingly endless delays when changing channels? No more! Experience instant channel changes and guide scrolling. Have you ever missed the first few minutes of the big game or your favorite TV show? With VidLink, you can restart *most shows from the beginning. Want to watch a show again? Forgot to record a show? If the show has aired within 72 hours, just find it by searching your library, and hit replay. With VidLink, all your recordings are stored in the cloud - you won’t lose any recordings from damage, storms, etc. Plus you can select how much storage you want with your feature set options. Does your favorite show air at the same time as someone else’s? As part of the cloud DVR service, you can now watch your favorite content from any device (i.e. smart phone, tablet, computer, etc.) You just need to be connected to OptiLink internet! * The option to restart is at the discretion of the program provider, not OptiLink. 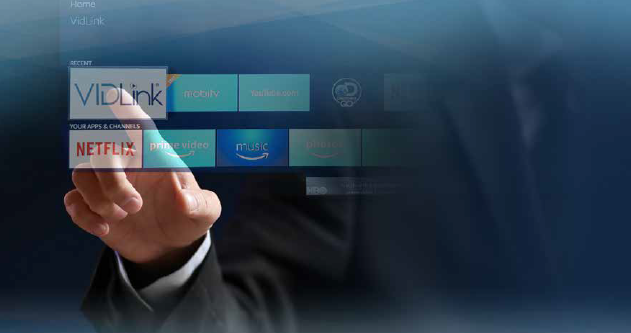 VidLink works on your favorite devices, like Amazon Firestick or Apple TV. That means you don’t need to rent clunky set-top boxes OR pay those monthly fees. 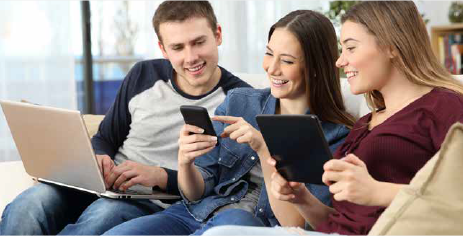 With VidLink, you can Bring Your Own Device (BYOD) and access your local content using a simple app that resides right next to your favorite streaming apps, like Netflix or HULU. Hate waiting for the cable guy? Good news . . . with VidLink you don’t have to. If you know how to plug a USB into a port, and download an app, you can self-install and enjoy VidLink today! For more information on how to self-install VidLink, or if you already have one of these devices, see our installation guide here. Like Simpler Surfing - we make it easy. You get to pick the guide features you like – traditional – or with colorful tiles like your favorite streaming services.